In 1912, John & Bertha Hatch purchased 144 acres along the East Branch of the DuPage River in what is now the Village of Lisle. Rich farmland and abundant resources made this area ripe for development. The family began farming preparations and planted wheat, corn and beans, as well as raised cattle, pigs and chickens. While the children were playing in and around the DuPage River and trapping mink, their mothers and grandmothers were busy in the kitchen baking homemade Hazelnut cakes made from the abundant trees that grew throughout the property. This farmland yielded years of bountiful harvests for the families and the surrounding area. The John & Bertha Hatch and Frank Meyer Farms, where these fields once stood, is now home to Wheatstack and River Bend Golf Club. Wheatstacks were once symbolic of productive farmland and a bountiful harvest. The concept behind Wheatstack is to embrace our local history and celebrate the values of our early farmers and settlers of Lisle and the Midwest: family, friends, community and sharing a bountiful harvest. Our goal at Wheatstack is to incorporate these values in your visit with us while we serve up the best Midwestern Cuisine you'll find from our scratch kitchen. We look forward to extending to you Midwestern hospitality at its finest! SUBSCRIBE TO OUR WEEKLY NEWSLETTER! Receive special deals & offers and be the first to know about our special events. Sign-up now! JOIN THE BIRTHDAY CLUB! Receive a special birthday treat in your honor. Sign-up now! BOOK YOUR NEXT EVENT WITH US! Showers, weddings, family gatherings, corporate functions, golf outings, birthdays, memorial luncheons, holiday parties, sporting events & more! Discover our many options. With over 12 years of experience, Todd brings a wide range of restaurant operations knowledge to Wheatstack. 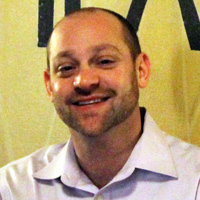 Todd started in July of 2011 as the General Manager and has defined long-term goals for the rebranded restaurant. In late 2017, he began overseeing the golf course in addition to his event planning responsibilities and role at the restaurant. His main focus has been to create an atmosphere where friends and family can gather and enjoy each other's company. Todd is an Illinois BASSET Certified Instructor, Illinois Sanitation Certified, and a Member of the Illinois and National Restaurant Association. Kim began her employment with Wheatstack, formerly The View, in 2003. Although she co-manages front of the house operations handling scheduling and training, her primary focus is on the bar side keeping the cocktail, beer, wine and martini lists fresh and exciting. She is even the creator of Wheatstack's secret recipe for Sangria, a house specialty. Kim's favorite aspect of her job is getting to know the patrons. In fact, many customers have become close friends over the years and her attentive customer service is what keeps people coming back to the 'Stack. 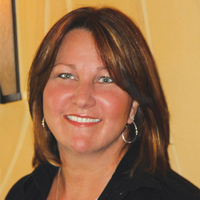 Kim has been in the restaurant industry for close to 24 years and has been married just as long. 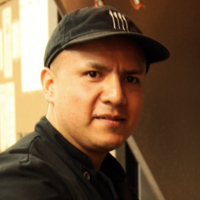 Carlos has been with Wheatstack since 2008 and recently became Executive Chef. He understands guests' needs creating unique, delicious specials to please their tastes. Carlos has cooked professionally since 2000, though his culinary passion began as a child. The time he spent working in country clubs and golf course restaurants has given him valuable knowledge and experience with banquets and parties, proving to be an asset as Wheatstack expands its private event capabilities. As Carlos states, his favorite thing about being a chef is that "there is always another trick to be taught and working as a team in the kitchen is not only an education, but a lot of fun for me."